Use of Mirror let the child observe, explore the reflection from the mirror. It is very interesting and able to inspire the child’s imgination. Light & Shadow, it is the normal phenomenon which can enhance child’s imagination. For eye hand co-ordination and shape identifying. 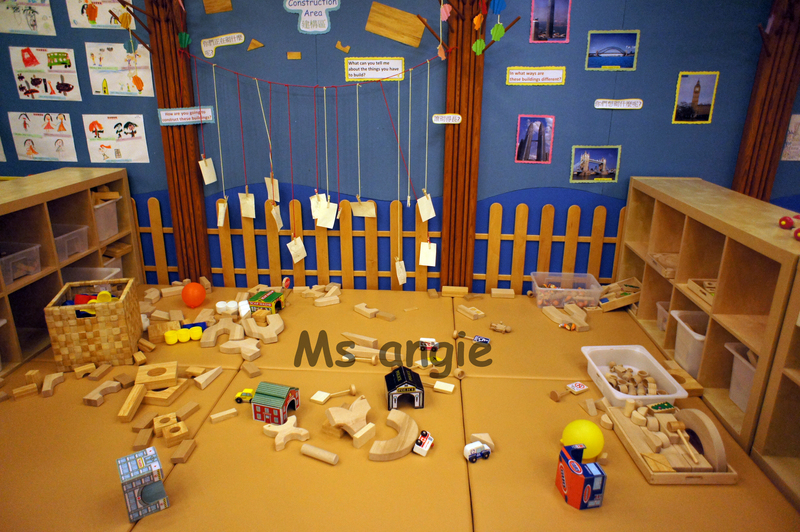 For child under 2.5 is OK.
ICT corner for learning Maths/ Language. But I don’t like child being explored in front of electronic products too early.Well depends on what you think. Language learning corner, big Alphabet card and some words magnets. Classroom environment compartively rich. Full of learning elements. I can find Jolly Phonics, English Corner with sigh words, Maths Corner and some activity corner which similar to project approach but not i don’t know what the name is. Is a kind of having a theme then elaborate and let the child explore by themselves.